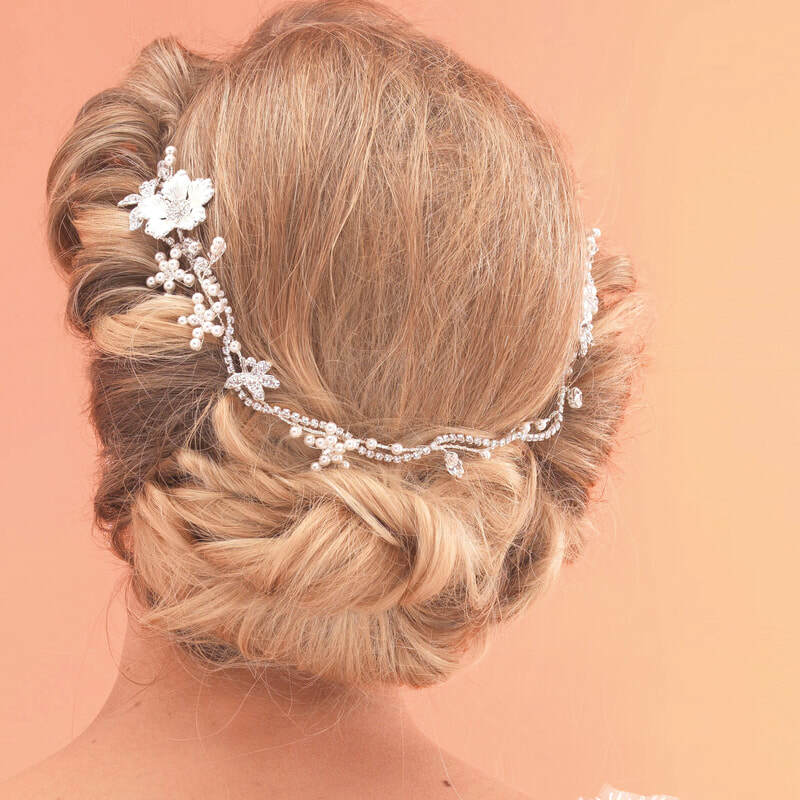 Delicate bridal hair vine with a continuous wave of diamante running through it for subtle sparkle. 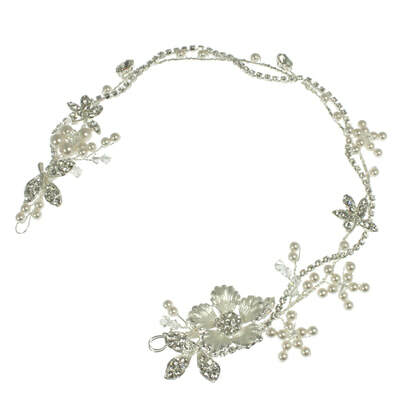 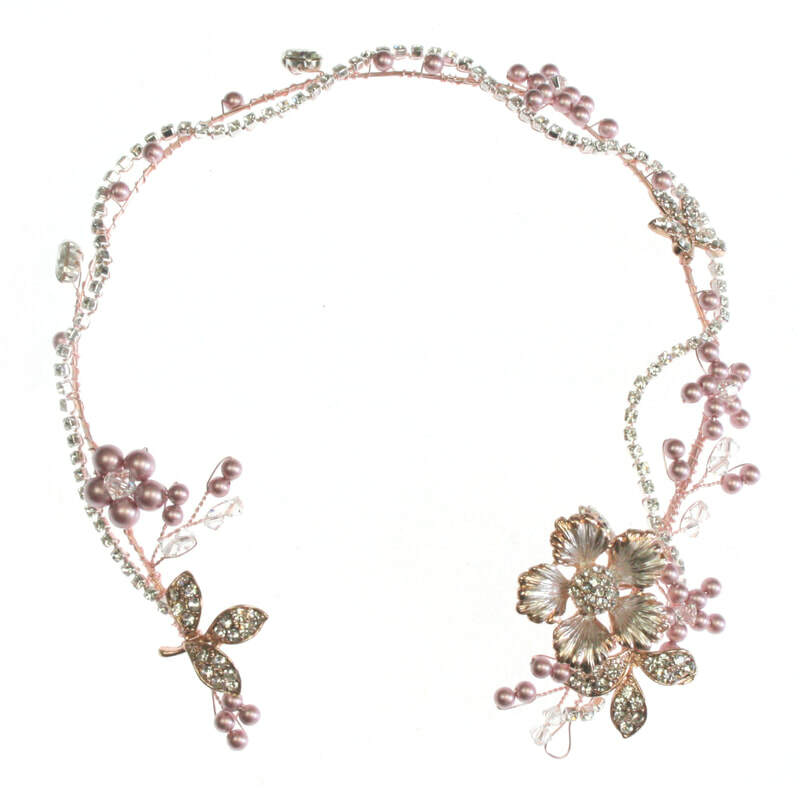 Pretty pearl flowers and diamante leaves are wound along the length of the piece with vintage style flowers & leaves at either end. Model wears AR507 in Silver with Silver Accent Flowers & Leaves, Ivory Pearls and Clear Crystals. 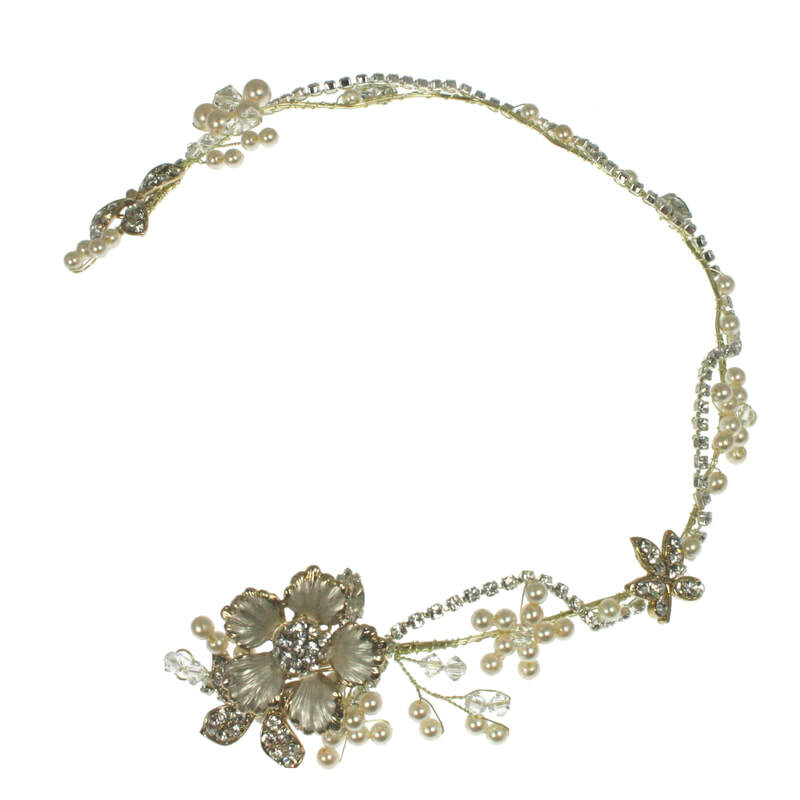 Flowers & Leaves are also available in Soft Gold for a more vintage look.